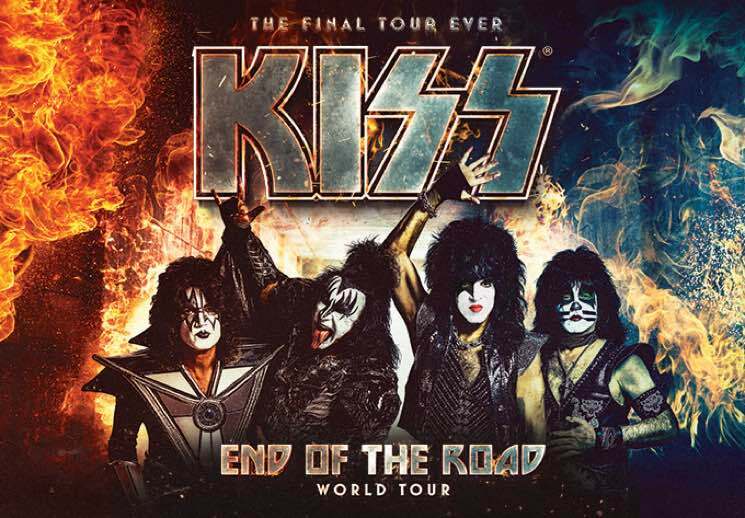 Just over a month on from announcing their "End of the Road" farewell tour, KISS are now planning to stick around a little longer with the addition of several new dates. While the North American leg had initially been slated to end in April, the new dates will now keep the band on the road throughout August and September of next year. Additional Canadian dates have been added for both Montreal and Toronto. KISS will return to the former's Bell Centre on August 16 before revisiting Toronto's Scotiabank Arena the following evening on August 17. Tickets for the band's newly announced Canadian shows go on sale to the general public December 3 at 10 a.m. local time. You can find the newly expanded tour schedule down below.